Your loading bay solution found! SINGLE DECK & DOUBLE DECK platforms, DOCK FACE lifts, IN DOCK and OPEN YARD lifts. 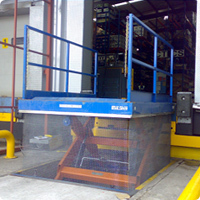 Loading bay lifts provide massive advantages over other forms of loading bay docks. 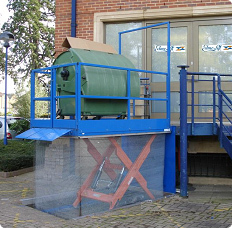 No hazardous ramps to negotiate, no licensed driver or expensive forklift, and a loading bay lift provides versatility that no fixed height dock could ever give. We like surprises! 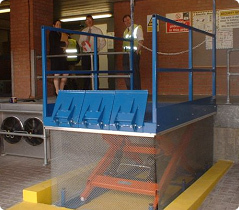 It doesn�t matter what arrives at your loading bay an Edmolift can handle it! From a panel van to an artic, an Edmolift loading bay lift is suitable for all.